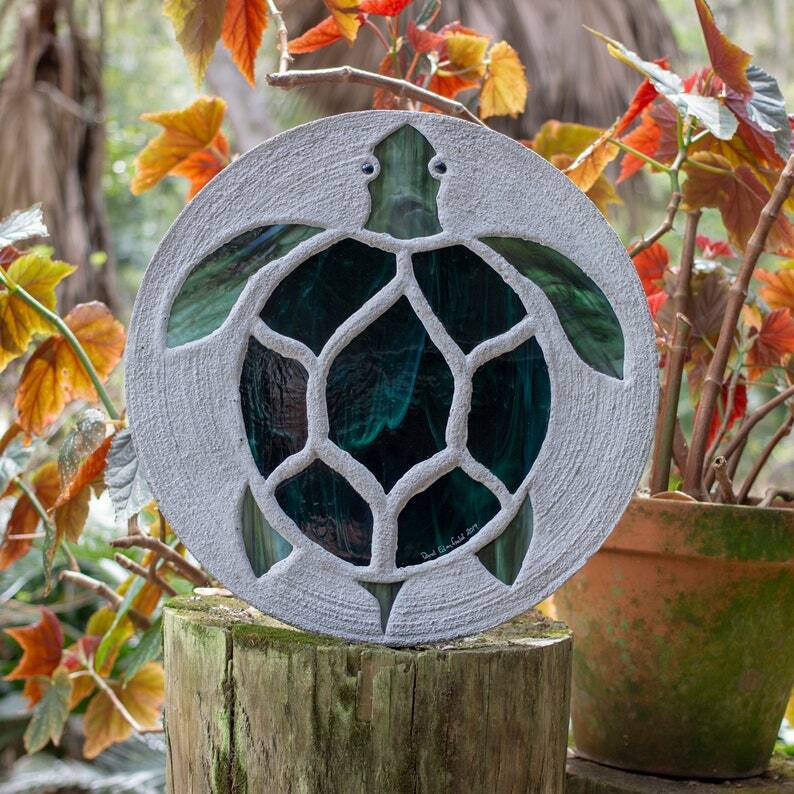 This pretty sea turtle's shell is made with hunter green wispy stained glass. The flippers, head and tail are made of Spectrum "Rainforest" art glass. This is one of my oldest and most popular designs, first created in 1998. 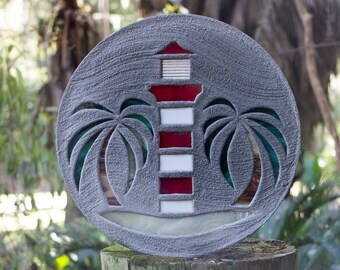 It is absolutely beautiful, I purchased in memory of a dear friend whom loved sea turtles and smile daily when I see our new stepping stone.